Pick your place. It may not have been Egypt, but we’ve all been in places where we’ve felt like an outsider. Maybe it was the first day of school in a new place, a new job in a new city or maybe it was being in another country and culture for the first time. Think back to that time and remember that we were all newcomers at some point. With the exception of those from Native America, we are a nation of newcomers. While “ger” appears in the OT 92 times, remarkably, it was also the year ‘92 when Sam Baldwin (played by Tom Hanks) first called into the talk radio show in Seattle, through which he eventually fell in love with Annie Reed (played by Meg Ryan). 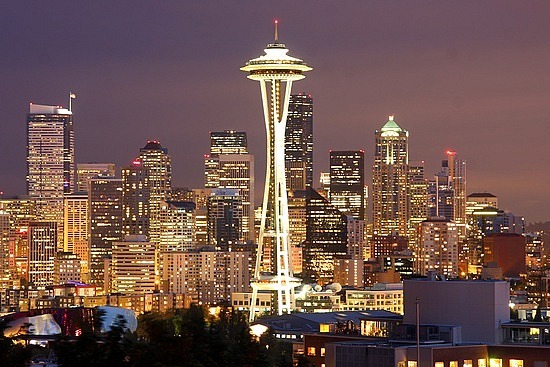 This iconic cultural reference – Sleepless in Seattle – has branded our city ever since. Seattle has been affectionately stereotyped for grunge music, the Space Needle and our casual approach towards life. The Pacific Northwest is known for rain, coffee and Subaru’s (among other things). But what if we were famous for welcoming the stranger? This is our hope for ourselves and for our communities – that we would be known by our hospitality to the sojourners, and that God would be renowned by our love for others. So, welcome to our online community. Make yourself at home. Note: Our office contains a diverse set of beliefs and backgrounds. This blog will hopefully reflect the many different perspectives of our staff and supporters. However, the opinions in this blog do not necessarily reflect the values, mission and vision of World Relief Seattle. Thanks for updating about the Sultani family. His son was in my fourth grade class and I have been praying for his dad to find a good job. We have so much to learn from these strangers among us!